Jeffrey Brown Creates 2019 CBLDF Member Art! 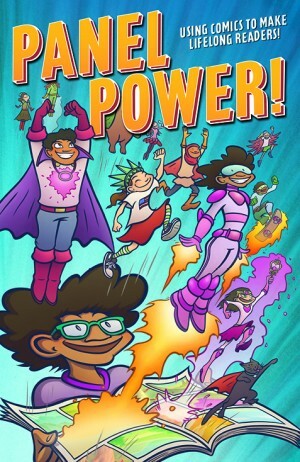 OUT TODAY: Panel Power, CBLDF’s New Resource for Parents, Educators, Librarians, and Retailers! 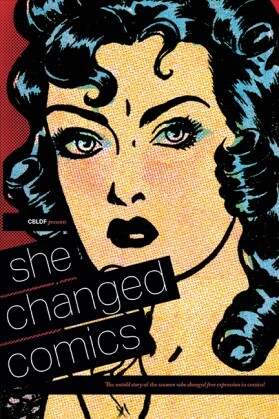 AVAILABLE NOW: She Changed Comics! CBLDF Protects The First Amendment! CBLDF Hosts Member Appreciation Signings & More at Stumptown Comics Fest! CBLDF Attends 10th Anniversary MoCCA Fest This Weekend! 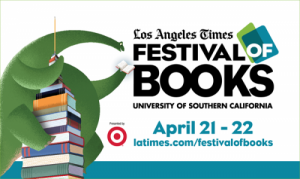 LA Times Festival of Books Tells A Success Story For CBLDF! Comics-On Tees Submissions Online, Challenge Ends Soon! 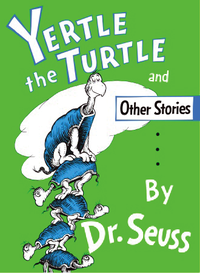 CBLDF Heads to LA for the Festival of Books! Chicago Shows Huge Support At C2E2! Last weekend the CBLDF team was at C2E2 in Chicago where we launched a huge t-shirt project with Threadless, delivered a presentation on the history of comics censorship, signed up over 30 new members, and raised more than $7,300 for our important work. 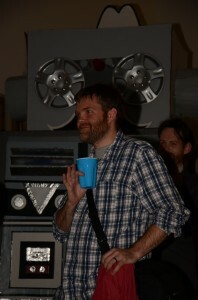 CBLDF Executive Director Charles Brownstein recaps the festivities after the jump! Threadless Design Challenge Opens Submissions to Comics-On Tees Vol. 6 by Neil Gaiman!